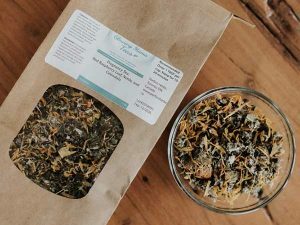 Glowing Mama Teas were created to help you through the perinatal period. Each herbal formula will address specific needs during pregnancy and postpartum recovery, from birth prep, to wound healing, to breast milk production! 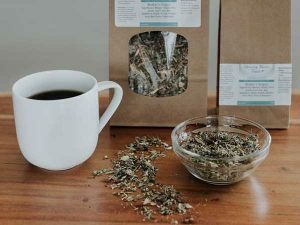 Loose leaf herbs prepared properly can be quite therapeutic and are no comparison to tea bags you will find with ground herbs that you steep in a cup of hot water. Loose leaf herbs are to be boiled for 15 minutes, and then removed from the heat and covered tightly for another 15 minutes before being consumed/used. 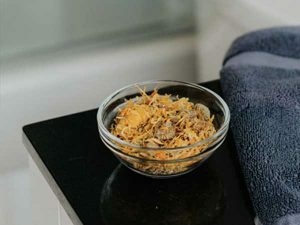 This process brings out the therapeutic effects of each herb and can now be used to help with any particular issue that herb can help with. Order your Glowing Mama Teas and see how each one can help you.